Tommy Rando is an Australian music producer, singer-songwriter and composer. With a unique voice and impressive guitar skills, Tommy has placed himself among Australia’s finest contemporary music acts including Taxiride, Boomcrash Opera and Invertigo. Tommy has also been accepted globally, touring the UK and USA with his debut album Winter Sky and follow up hit, Signature. Spotted at South by Southwest music festival (Austin, Texas) by music great, Seymour Stein, Tommy went on to tour the UK where he met his future mentor, John Reid (Ex. Elton John/Queen manager). He has worked alongside Mark Ronson (producer Amy Whinehouse) and in 2012 toured France with UK sensation Paulo Nutini. 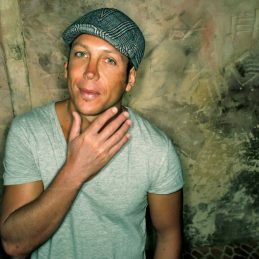 Tommy has written and produced songs for US sensation Oryon (Top US Billboard Hit), Vanessa Amorosi, Lee Harding, Anthony Callea and UK Pop Idol Kirsty Crawford. His songs can also be frequently heard on the Australian television production Neighbours. In 2004 Tommy’s song Wasabi hit number 1 on the Australian charts (performed by Australian Idol finalist, Lee Harding). Tommy’s recent film and television endeavors have included working with the Coca-Cola Company on their latest US TVC Spritecampaign. He is also collaborating with Alloy Tracks-Los Angeles, USA and Real Media Group. Back at home in Australia, Tommy is in demand for his work on numerous TVCs and Corporate films.